Tsipras noted that a solution to the FYROM name dispute should come in the form of “a composite name for all uses” if the Balkan country is to proceed with its bid to join NATO. “We both have the desire to tackle our existing differences realistically and responsibly,” he added. But he emphasized the need to tackle “irredentism in all its forms,” reflecting Greek concerns that FYROM harbors claims against the northern Greek region of Macedonia. Zoran Zaev, for his part, stressed the need for any solution “to be acceptable to both sides and to take into account the national dignity” of both countries. He looked toward fostering “good-neighborly relations” and offered two gestures as a display of good will and intentions: renaming Skopje’s international airport and a main thoroughfare which both currently bear the name Alexander the Great, the ancient Greek warrior and leader of the kingdom of Macedon. Tsipras, for his part, pledged that Greece’s Parliament would ratify a European Union association agreement with FYROM aimed at boosting trade ties. The next phase in the negotiating process will come when United Nations mediator Matthew Nimetz visits Athens and Skopje, on Tuesday and Wednesday respectively. But much work remains to be done. The FYROM name talks have divided the coalition and alienated rival political forces. Earlier in the day, the government came under severe criticism from the opposition for its handling of the FYROM name issue. New Democracy leader Kyriakos Mitsotakis hit out at the leftist-led administration for entering negotiations without first forming a “fundamental climate of consensus” at home. The government’s prevarication is “intentional” and aimed at “facilitating Mr [Panos] Kammenos, who changes his mind about six times a day,” Mitsotakis said in reference to the head of the government’s junior coalition partner, who is also the defense minister. 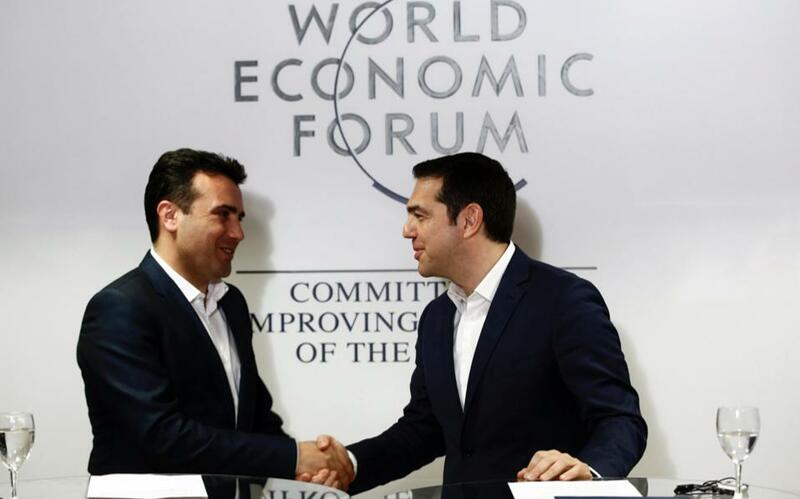 “I would not negotiate anything unless Skopje first made a commitment to change its constitution,” the conservative leader added, referring to concerns that certain clauses in FYROM’s constitution suggest irredentist aims. “I will not divide Greeks in order to unite the people of Skopje,” he said.